The Canadian Neurophotonics Platform is composed of production and testing nodes located across Canada. Learn more about each node by clicking on the node in the figure on the right. 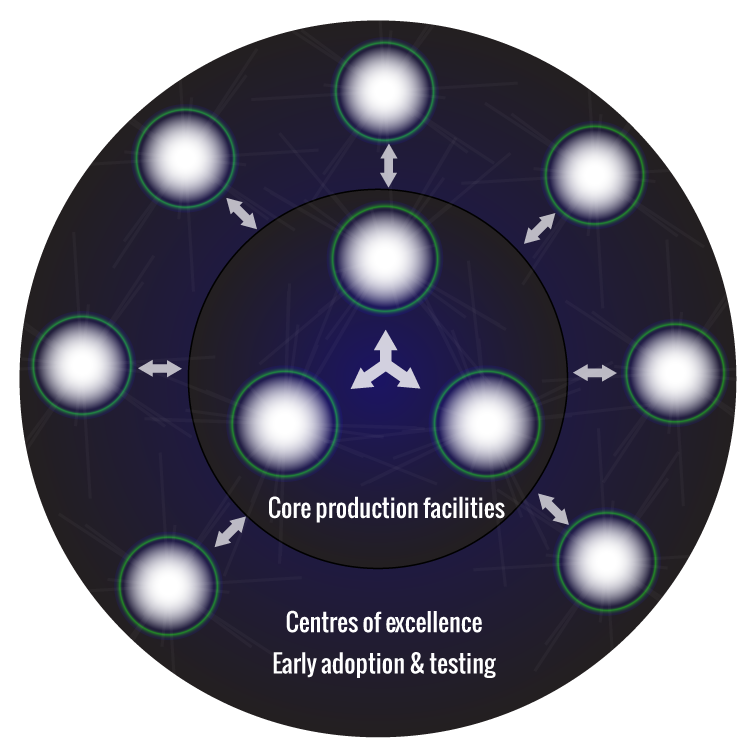 The Neurophotonics platform is composed of three core production facilities that produce novel tools in a collaborative way. Development and optimisation is further enabled through testing and validation of the tools by Centres of excellence across Canada. Learn more about each node by clicking on it.